This has been a very slow week, which is just as well. 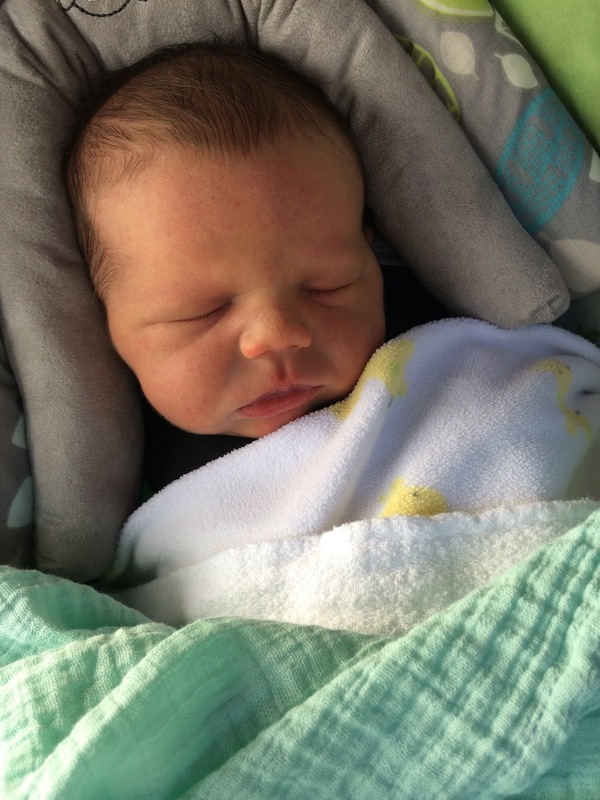 It gives me a chance to reflect on the last nine months and to answer the question Why? June 1 is our nine-month anniversary. 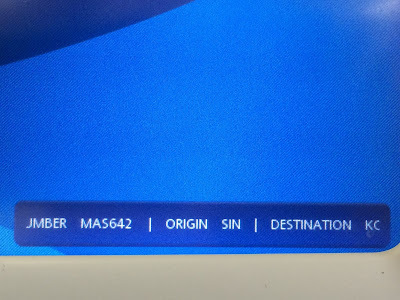 We are now half-way through our mission. Why did we come here? What have we accomplished? Have we done any good in the world so far? These are good questions, and sometimes I wonder. I'd like to share some thoughts and pictures from the last nine months. That's 8,400 miles from home! We have been blessed with good friends and good health starting in the MTC. We were with a great group of other Senior Couples. 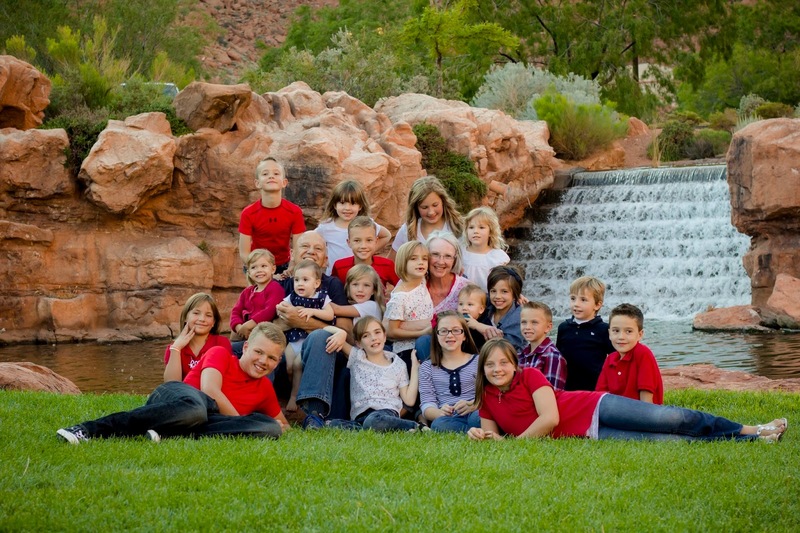 This was one of the largest groups of Senior Couples sent from the MTC. Most of these folks were MLS (Membership Leader Support missionaries). We are in the second picture. We became good friends with many in this group. This group has special callings such as CES, YSA, or Military assignments. We arrived in Singapore not know anyone except the Boyters and the Bues's because we had been in contact with emailing. 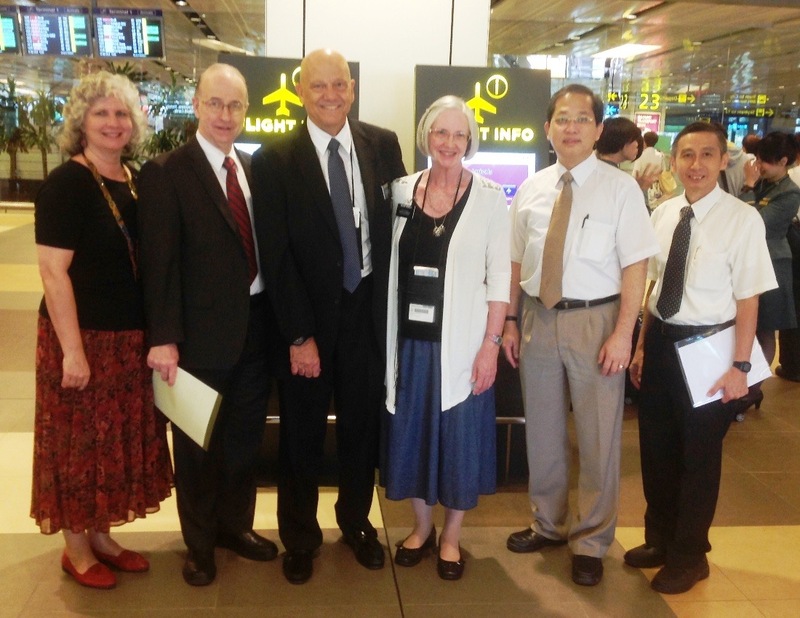 We were grateful to be met at the airport in Singapore by the Boyters. They have become very close friends. How we miss them! They are now in preparation for another mission. 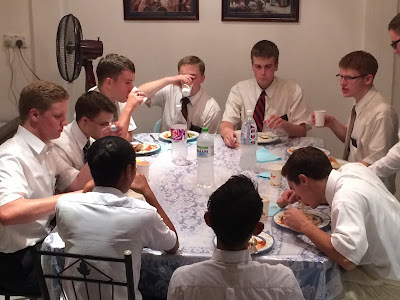 The Boyters are on the left. We were also met by Juswan Tandiman and President Lai. Brother Tandiman and President Lai are the coordinators and supervisors for the Singapore and Asia area.
. . . our bosses. 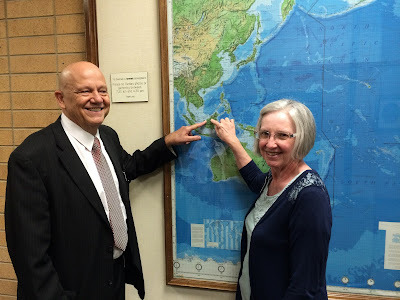 We replaced the Boyters as CES missionaries when they were called to serve in the Mission office. Brother Merang and family. 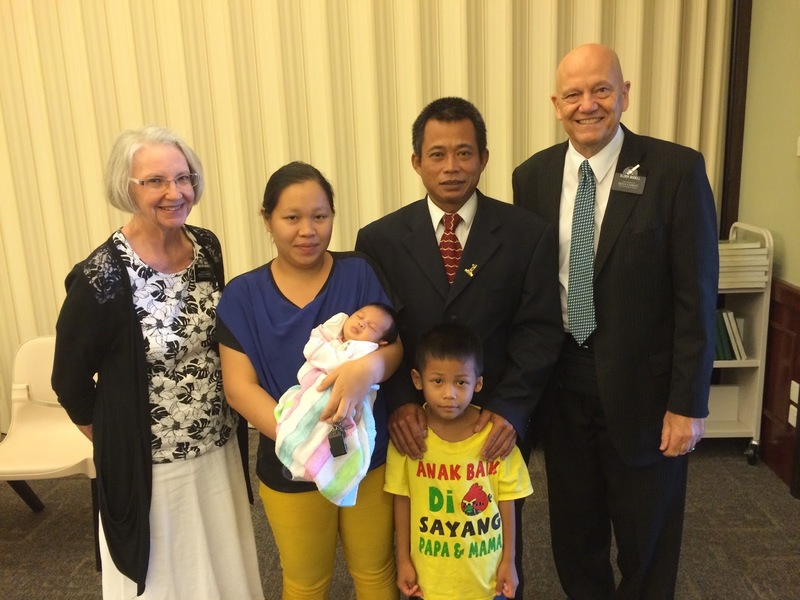 Sister Doa was baptized the next week. Ot course, we can't forget the many missionaries we have grown to love. 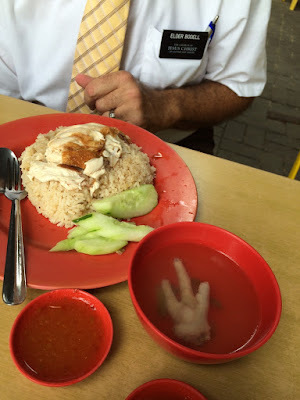 Sometimes the missionaries just have get themselves moving! And then there have been several funny signs and labels of various kinds . . . This is from the flight monitor on the seat in front of me from a flight from Singapore. 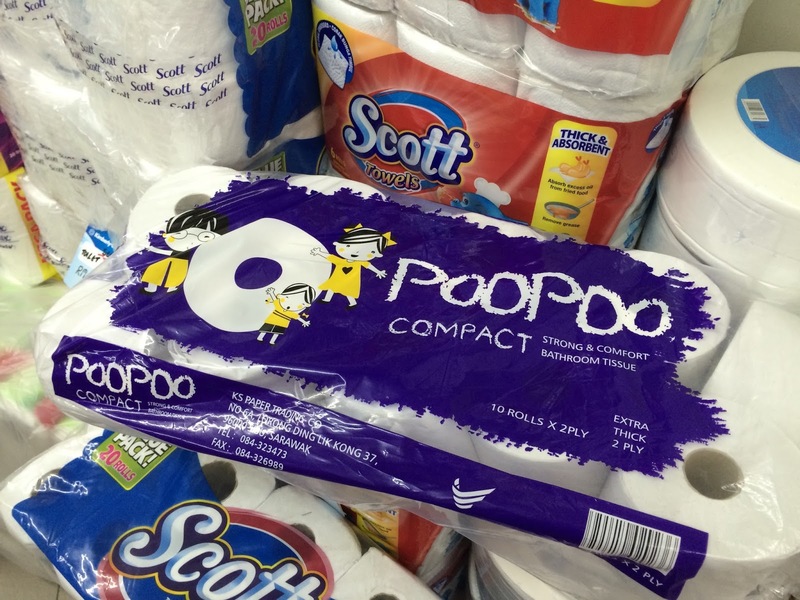 What a clever name for toilet tissue! And the various and sundry foods we've eaten or just looked at because there is no way we're going to even try . . . I'm not sure how they get these things down! Sacrament meetings were sparsely attended this weekend. Gawai is this coming week. 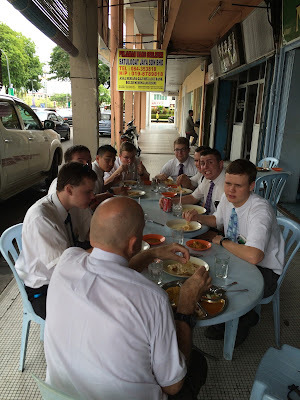 There were a total of 13-14 people, counting the eight missionaries who were there at Branch One. No Branch Presidency. Branch Two had 10 in attendance . . . the Branch President and his son. Everyone is off to their longhouses/kumpongs to be with their families for the next week. Some for the next two weeks. We've been invited to go to a member's longhouse this coming week. Hopefully there will be pictures to share. The grandkids nine months ago! The members have been wonderful. 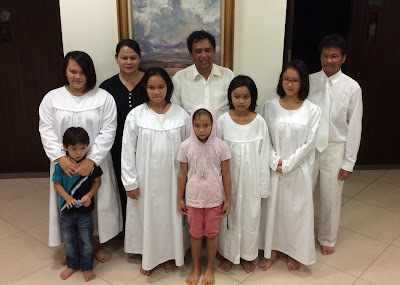 They sacrifice so much being first-generation members of the Church here in Malaysia. They are trying so hard. One my heroes is the President Balley. He is the the branch president of Branch 2. His family was giving him a very bad time so he moved from his family's longhouse to that of his wife's family. They are building a new longhouse. He is a real stalwart in the Church. President Balley and his family the day his little daughter was blessed. Why are we here? Who can count the reasons? There are so many other blessings we have received. We have had the opportunity to serve and to help. We have seen so many interesting sites and cities. There are so many pictures we could post, but most importantly, we have felt and seen the hand of our Father in Heaven in His work among His children here. We know we will see more during the next nine months. Is a mission worth it? You'd better believe it. The Gospel is true. God bless all of you!